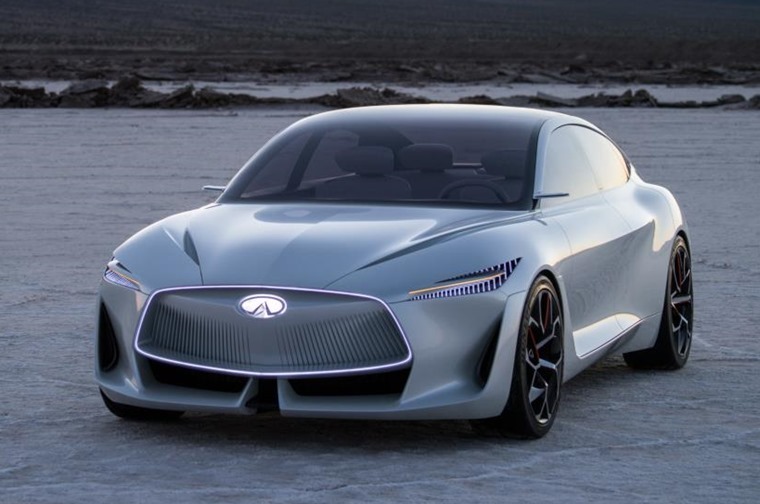 The stunning Infiniti Q Inspiration concept has officially been unveiled at the Detroit Motor Show, giving us a better idea of what we can expect the next generation of Infiniti vehicles to look like. 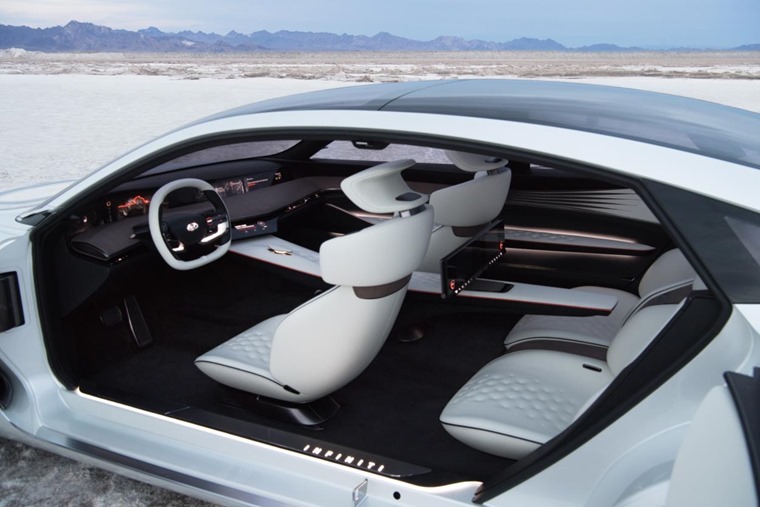 Taking the form of a low-slung executive saloon, the Q Inspiration’s design language looks to take inspiration from the fastback look that has worked so well for the Audi A7 and Mercedes CLS and is a departure from the styling of current Infinitis. A huge grille dominates the front, while sharp, narrow LED headlights flank the wings and appear to be embedded into the body itself. With EV tech on the horizon, the seamless design of the front would actually be possible, as EVs don’t need functioning grilles. There’s some stand-out design points such as a one-piece glass rear roof and tailgate, rear-hinged rear doors and a large grille upfront that’s bordered by LEDs. 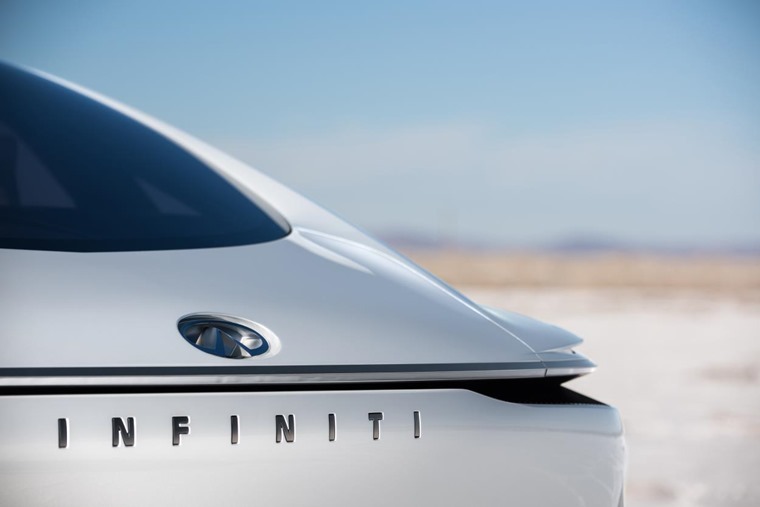 Being a concept, not all of these features will make it into production cars, but its overall silhouette gives us the best idea yet as to what upcoming Infinitis will look like. Infiniti says the exterior integrates new technologies, as well as providing something a little different from conventional “three-box” saloon car designs. A “human-centric” interior features too, with all four occupants benefiting from their very own infotainment system. 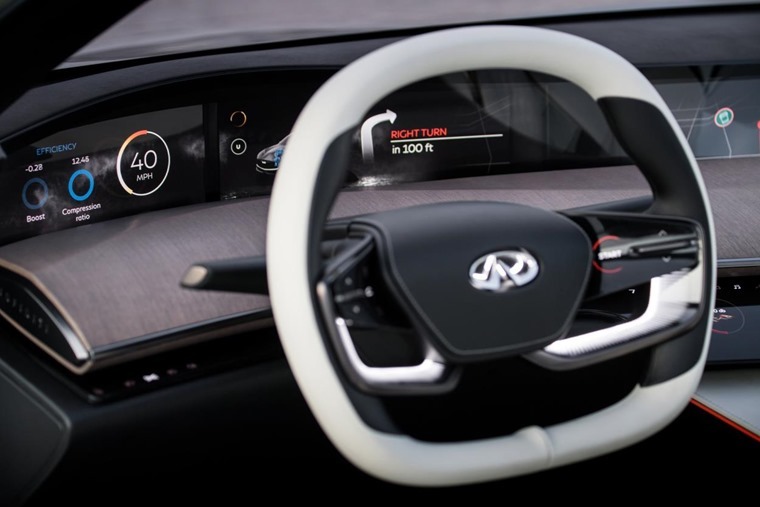 A centre-console runs the entire length of the cabin, while upfront there’s square steering wheel with multi-function controls and three digital screens for driver readouts. Autonomous tech is high on the agenda too, courtesy of Nissan’s (Infiniti’s parent company) ProPILOT system. It can negotiate multi-lane traffic and junctions autonomously, but Infiniti calls it a ‘co-pilot’ that’s designed to liberate the driver from mundane and stressful driving situations, but leaving them with “ultimate control”. Sitting on an all-new platform, for now it utilises Infiniti’s latest four-cylinder VC-Turbo engine for power. Thanks to variable compression ratios, it provides the performance of a much larger petrol engine, with the economy and efficiency of a diesel or hybrid. Infiniti says this smaller engine has allowed designers to push the A-pillars and windscreen forwards, creating a roomier cabin, and a sleeker look. 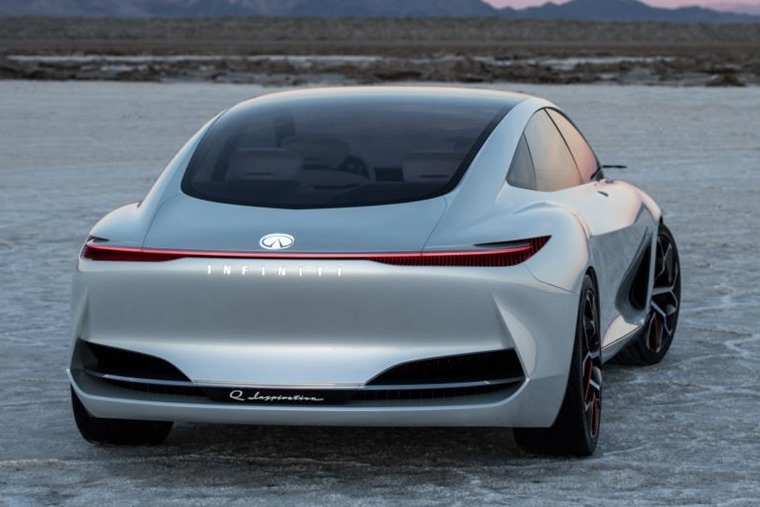 While the Q Inspiration won’t be going into production, much of its technology will be carried over into Infiniti’s first all-electric car that’s due on the market in 2019. If you can’t wait for that, you can check out lease deals on the current Infiniti range by clicking here.